This article was posted on Saturday, March 30th, 2019 at 7:25 pm and is filed under Cusco Tours, Festivals, Holidays. 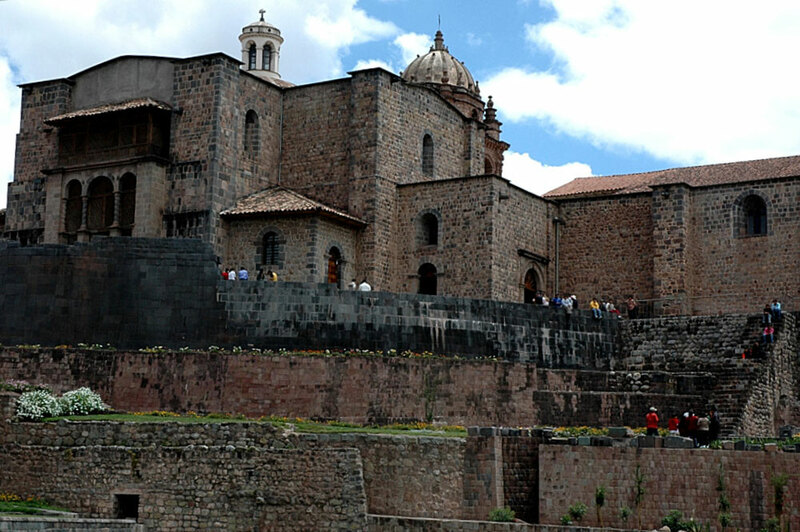 Cusco is one of those cities that take you to the past. As you walk through its streets and squares, seeing its ancient buildings -incas, Hispanic, Andean-, when listening to Quechua words in a corner dressed in the past or observing the stone blocks that fit millimeter-wise in a wall, it is inevitable to ask how it would be this or that other place in the Inca period or in the beginnings of the viceroyalty. That feeling accompanies you on urban tours and chases you in the archaeological zones. Singular experiences that are not described in the holiday packages to Peru, but are part of the adventure of knowing a destination that preserves its ancestral roots to show them with pride, because they are part of its essence, its identity, its impressive legacy cultural. Travel in time in front of the Stone of 12 Angles, inside one of the workshops of the artisan neighborhood of San Blas, or visit the temples, gardens, ceremonial fountains, in short, all the apartments of the magnificent Qoricancha, the ‘gold enclosure’ (that’s its name in Spanish), in which the Incas worshiped their divinities, especially the Inti, the Sun, who was their father and their God. When the descendants of Manco Capac and Mama Ocllo, the legendary founders of the Tawantinsuyo, predominated in the Andean world, several of the stone walls, always of stone and only of stone of this monument erected on a small natural promontory, were covered with gold. The same did not happen with the Punchao, the sculptural representation of the Inti that was adored and protected day and night. And the Punchao was pure gold. 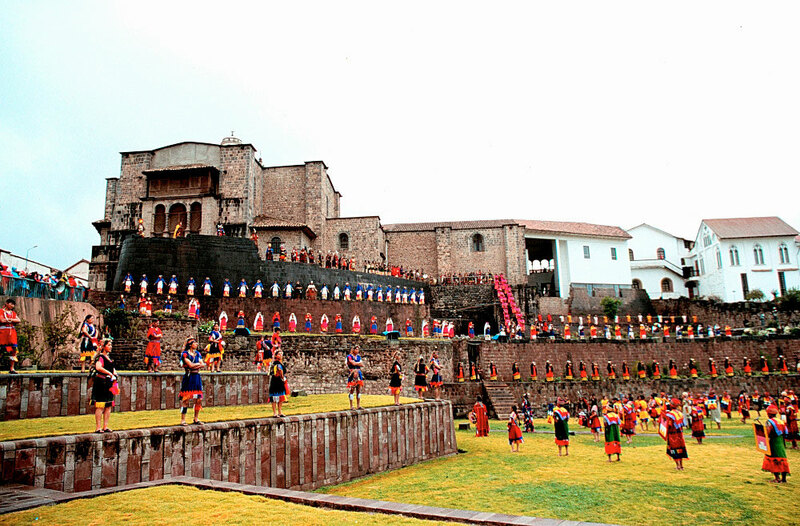 Its brightness and dimensions would awaken the greed of the first Spaniards who arrived in Cusco. They would loot the temple. Vandalism and panic, impotence and pain in a historical moment that would mark the decline-literally and figuratively-of a God and an image whose greatness would remain in the memory of the conquered and in the stories of the first chroniclers. After the chaos generated by the ambitious search for wealth, the colonial cloisters of the church and the convent of Santo Domingo would be built on the Inca walls. It was in the mid-sixteenth century that one of the classics of Cusco tourism would rise, an urban gem that you should not ignore in your Peruvian vacations. Here you will understand the worldview of the Sons of the Sun. There are no excuses. It is impossible to say that it is far away or that there is no way to reach the intersection of El Sol and Santo Domingo avenues. It is enough to walk a couple of blocks from the Plaza de Armas to be in front of the esplanades and gardens of the Qoricancha, the place where the pompous feast of the Sun, the Inti Raymi is celebrated every year on June 24th. Look and photograph. Enter To know the temples of the Sun (it housed an image of the God Huiracocha and several mummies), the Moon and the Stars; the enclosures of the Rainbow, the Lightning, the Thunder and the Lightning; the Sacrifice Room; the Sacred Alley; the Ceremonial Fountain and the Museum of Site that treasures and exhibits, in its five rooms, the pieces and objects of archaeological interest found in the Golden Enclosure. The same sensation and the inevitable question are repeated, but not in front of the Qoricancha, not in any passage or memorable corner of the city, but on the way to Tipón, an archaeological zone in the so-called Valley or South Circuit of Cusco, where the fountains and water channels, reveal the wisdom of the Andean builders. They understood and mastered the concepts of hydraulic engineering. It would be great to go back to the calendars to find out how they did it, but even the best travel companies in Peru do not have time machines, so all you have to do is imagine how this place was built in which each stone is revealed as an evidence of respect and devotion that the Incas had for the elements of nature. From his perspective, water not only generated life … it had life itself. 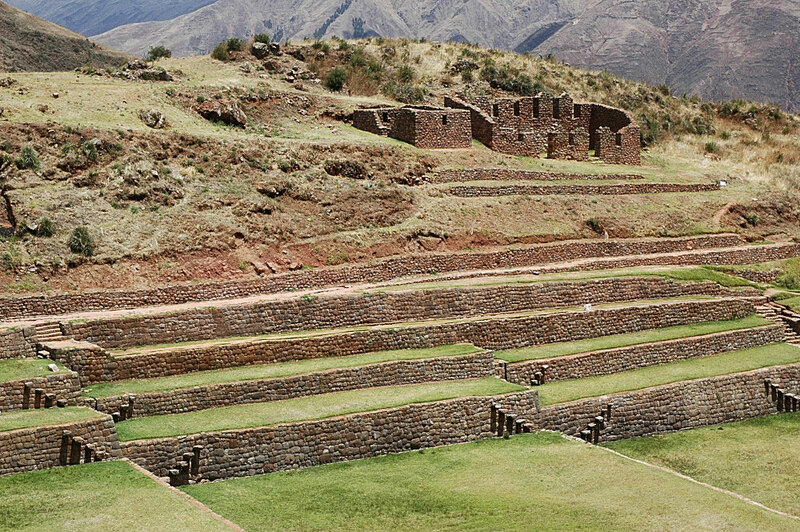 Tipón is terraces, squares, precincts, fountains, canals, aqueducts and staircases and a section of the Inca trail-the road network that linked the four regions of Tawantinsuyo. None of these elements breaks the harmony of a green and mountainous scenario that would have been a place of rest for the ruling elites, as well as a place of worship and religiosity. Venerate the earth, the mountains, the water that flows and is channeled to the sources and cultivable terraces. It is the inheritance of the ancients. A timeless work because it remains in force and captivates those who dare to travel the 27 kilometers that separate it from Cusco, that destination where all visions and all walks lead us to the past … in one or many ways. 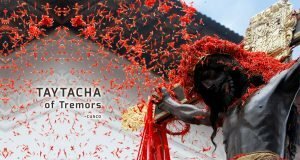 Schedule: The Qorichanca is open to the public from Monday to Saturday from 8 a. m. to 5 p. m.
Characters: The Willaq Umu was the high priest in the Inca society, while the acllas, were women chosen for the service of the Sun. Note: The chronicler Juan de Betanzos wrote that it was the Inca Pachacutec who made the layout of the House of the Sun of Qoricancha. Translation: Qori means gold in Spanish, court place wide and fenced. Location: Tipón, at 3560 masl, is located in the community of Choquepata, belonging to the district of Oropesa, province of Quispicanchi. Gustito: Would you cheer up trying the guinea pig in the oven they prepare in Tipón? … if you do not accept the challenge, do not worry, the Oropesa chute breads, which are characterized by being large and circular, are presented as an excellent alternative.